As the Israeli government drags its feet on whether to allow the export of locally grown marijuana, some entrepreneurs are taking a leap of faith and making substantial investments in cannabis operations. 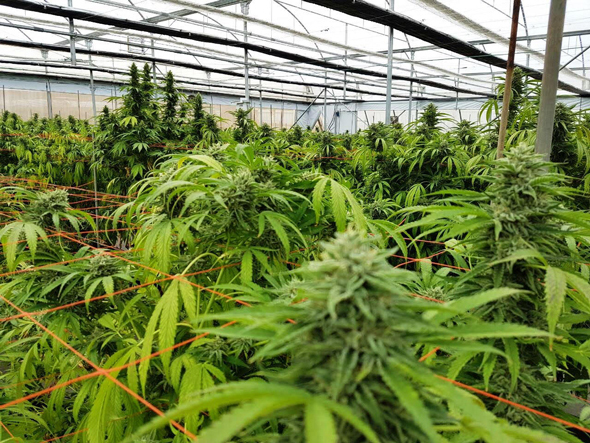 One of the companies in this emerging industry is Globus Pharma, which announced Sunday it plans to build a series of cannabis greenhouses on five acres of land with the help of Yamko Yad Paz Industries Ltd., a company specializing in large-scale agricultural infrastructure. Yamko will provide irrigation systems as well as technology for heating, cooling, and fertilization of the marijuana crops. The involvement of Yamko, a subsidiary of Africa Israel Investments Ltd., suggests that Israel’s established private sector players are increasingly eyeing opportunities in the cannabis industry, should the government lift the ban on exports. Advocates have long maintained that Israel has the right conditions to become a major grower. With a capacity to grow 20 tonnes of medical-grade cannabis a year, the planned greenhouse compound would the largest of its kind in Israel. Globus plans to complete construction within six months. The company says it has signed deals to distribute eight tonnes of cannabis in Canada and Germany. Founded two years ago, Globus has received the four types of permits required for growing and marketing medical marijuana in Israel, according to Co-CEO Nir Sosinsky. The company is now in the process of merging with a Tel Aviv-listed shelf company called Together Startup Network Ltd. The combined company will be known as Together Pharma, Mr. Sosinsky said. Israel’s government agencies are split on lifting the marijuana export ban, which could net the Israel economy more than $1 billion a year, according to an official estimate. The finance, justice and agriculture ministries are in favor while public security and health ministry have come out with reservations. The final decision rests with the prime minister and parliament. Mr. Sosinsky said he’s confident exporting cannabis will soon become legal, allowing Globus to capitalize on its planned greenhouses. “If not, there’s also potential in the Israeli market,” Mr. Sosinsky said.